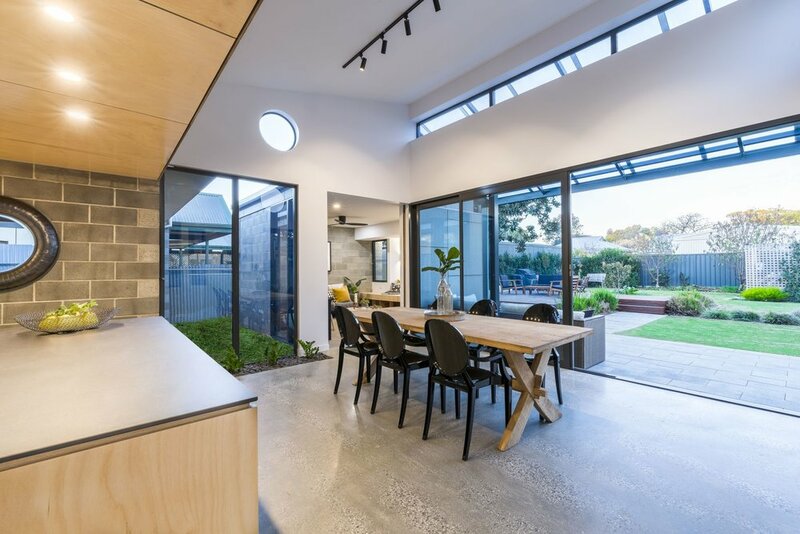 A large rear extension to an existing bungalow in Croydon, Adelaide. containing new kitchen, laundry, dining room and living room. Steel frame skillion roof opens to northern light. Central planted lightwell adjacent to new kitchen brings light into the new centre of the house. 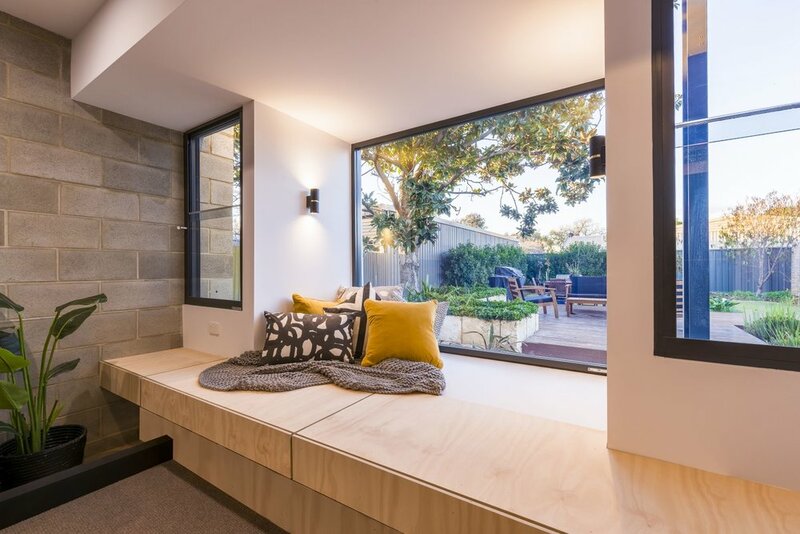 Living room zone contains fire place, built in joinery and window seat with view out into the garden. 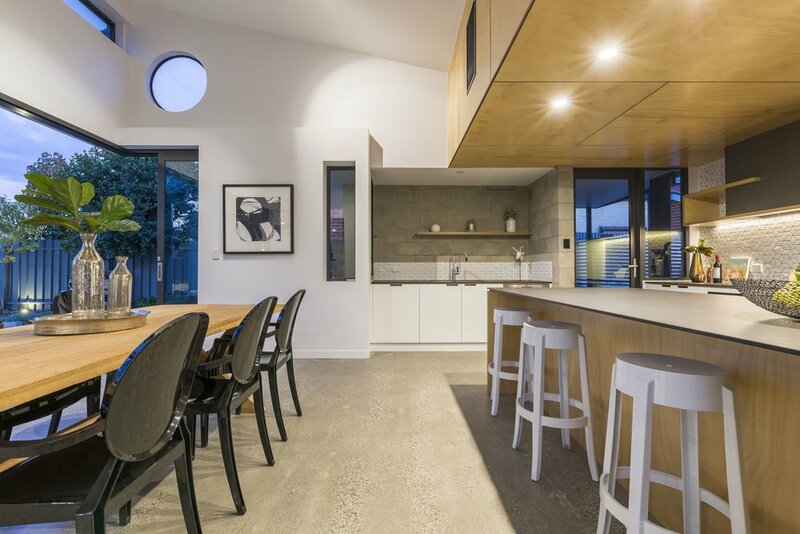 The house had previously been part extended by the owner and the new work incorporated and adapted some of these features.